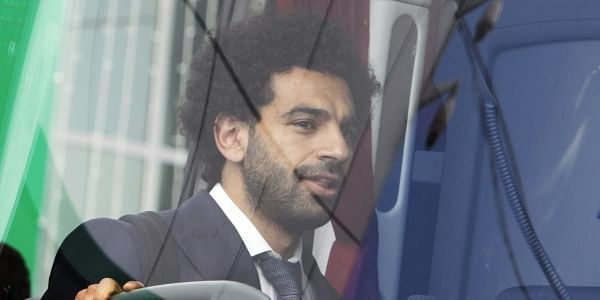 YEKATERINBURG (RUSSIA): Mohamed Salah is in a high-profile race to be fit for Egypt's World Cup opener against Uruguay tomorrow and even opponents are hoping the Liverpool ace could yet play a role in Russia. Egypt play Uruguay -- tipped by some to be dark horses -- in Yekaterinburg in just the second game of the tournament, following Russia against Saudi Arabia in the opening match. He had been sidelined since suffering a shoulder injury in Liverpool's Champions League final loss to Real Madrid on May 26, casting severe doubt on his World Cup participation. "There's a good degree of progress but no definitive decision on whether he takes part, as we are following his case day by day," team director Ihab Lahita told reporters. Egypt's 62-year-old Argentine coach Hector Cuper will conduct a pre-match press conference on Thursday, but there are suggestions that he wants to see Salah train again before making any decision on whether the player is fit to face a Uruguay side boasting the twin attacking threat of Luis Suarez and Edinson Cavani. Salah's World Cup dream was left on the brink when he exited the final in tears after Real Madrid skipper Sergio Ramos wrestled him to the ground. "I like the best players to play, I train with the best and I want the best players to play," said Muslera.